Ilustrated by: Vior for Clarín. We respectfully address you on behalf of the International Raoul Wallenberg Foundation (IRWF), in light of the recent publication of General Ivan Serov’s diaries, may we respectfully ask you to consider the possibility of allowing free and unfettered access to the KGB archives in order to try and locate the remains of Raoul Wallenberg and Vilmos Langfelder and if possible, bring them back home for proper burial. Raoul’s parents and his step-father are buried in Sweden and his half-sister, Nina, is alive and deserves to be able to visit her half-brother’s grave. We also fondly remember Raoul’s half-brother, the late Professor Guy von Dardel, a great friend of our foundation; a man who devoted most of his life to bringing Raoul back home, alas, to no avail. Following such a humane gesture, the International Raoul Wallenberg Foundation would offer to erect and deploy a major monument in Moscow, as a symbol of peace, solidarity and reconciliation and as a token of gratitude to Russia. Our central mission is to preserve and spread the courageous legacy of Raoul Wallenberg and his likes, namely, women and men who reached-out to others in need, regardless of race, religion or nationality of rescuers and rescued ones alike. 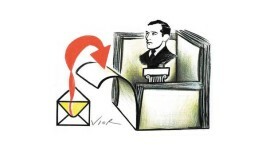 Last August 4th, as we held ceremonies in Buenos Aires, Tel Aviv, New York and Budapest to commemorate Raoul Wallenberg on his 104th birthday, the international media relayed the news of the emergence of former KGB Director, Ivan Serov’s diaries. According to the latter, the Swedish diplomat was killed in the Soviet Union under orders from Joseph Stalin. In fact, Mr. Serov’s diaries corroborate an official written statement we received 10 years earlier (on June 15, 2006) from the then Deputy Chief of Mission of the Russian Federation in Washington DC, Mr. Alexander Darchiev (current Russian Ambassador in Ottawa). The high-ranking and experienced diplomat was clear and unequivocal in stating that “Mr. Wallenberg died, or most likely perished in the USSR on July 17, 1947”. He emphasized that “the death of Mr. Wallenberg lies with the USSR leadership of that time and on Stalin personally”. 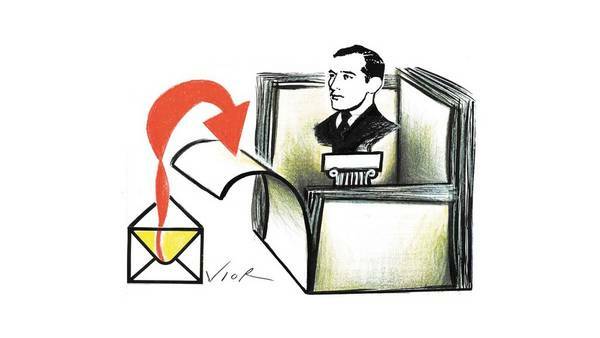 Upon receipt of Mr. Darchiev’s letter we made it public and we passed it on to the media and to the Russian authorities, without any major result, but the veracity of his claims is well supported by the information being now unearthed from Mr. Serov’s diaries. Raoul Wallenberg was one of the greatest heroes in the history of mankind. We have erected busts honoring him in Argentina. Dear Mr. President, both the undersigned would be willing to fly specially to Moscow, at your convenience, in order to meet with you and your staff and coordinate all the necessary arrangements to facilitate Raoul Wallenberg’s return home.